We are a small business that is greatly involved in the GM 6.2L and 6.5L Diesel engines from an enthusiasts perspective. Unique Diesel has been established as a business since 2007, and formally in 2015 as an entity. Our formal resume would include publishing for thousands of enthusiasts posts online, drag racing with a 6.5L diesel, article on respected website about most recorded and documented automotive rear wheel HP/TQ produced from a 6.5L that was upheld for years, and finally becoming an OEM in 2018 for a Marine Diesel platform. In October of 2017 Peninsular Engines Inc. closed for business permanently. In January 2018 Unique Diesel purchased All assets of Peninsular Engines Inc. As of January 2018 Unique Diesel owns all intellectual, branding, and physical property from Peninsular Engines Inc. Unique Diesel took on the task to resume continued manufacturing, development, and parts supply chain for Peninsular Marine 6.2L & 6.5L series engines. 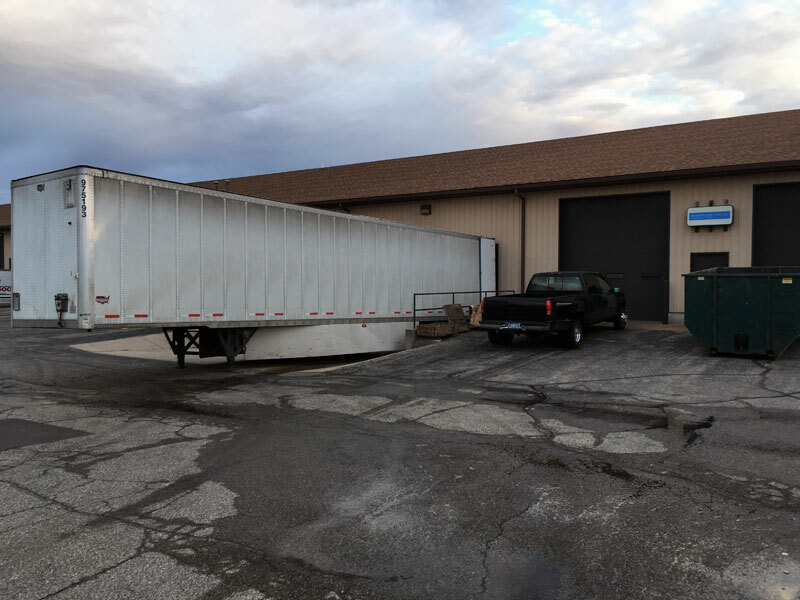 2018 Marked a very challenging year, timing was critical in securing the assets both in negotiation and symantecs of moving items and equipment from Michigan to Texas. We had just two-weeks to secure travel, package all contents and then prepare a full truck load (didn't even get it all) for safe travel to Texas before the rest of the remaining assets were destroyed. After two weeks of personal strength and determination challenge with just a team of two we managed to secure many precious and irreplaceable items for transport to their new home in Texas. After just 3 weeks from signing business documents with the owner of Peninsular Engines we were presented with our next challenge, arrival of our new freight and future challenges and opportunities. After arrival of the freight this determined business went public online to inform Peninsular customers seeking components that help was on the way. Taking on a nearly foreign product line is a challenge we won't ever forget and the challenges, hardships and victories we experienced in 2018. Unique Diesel has worked hard to educate itself on the function, application, and repair of a Marine power plant in 2018 with limited experience in marine. Talk about a crash course in things that float, with the only tires involved now are those on the trailer the delivers and sometimes retrieves the vessel. The launch of udmarine.com is finally here, after a partial year of manually searching or parts, quoting and shipping components and sourcing items we have finally documented enough components to provide these direct to the customer via an online store. Many customers have had to endure some changes in getting components due to communication changes (phone to electronic email) which has posed as a challenge. This was necessary due to the many things an OEM has to do with fixed resources to provide the very ambitious goals of supply. Peninsular Marine Diesel engines have been in production since 1984 through 2017 sold through Peninsular Diesel Inc. and Peninsular Engines Inc. Engines sold from 1984 - 1993 were 6.2L engines and were setup from 160HP NA and up to primarily 270 HP Turbo when turbocharged and aftercooled, with varying HP offerings in between. Engines sold from 1994 and on were 6.5L engines and were setup from 160HP NA up to 340 HP Turbo, with varying HP offerings in between. Engine serial numbers are stamped near a bolt mounting pad on the left-hand side (starboard) of an engine when you are looking at the front of the engine (belts and crank pulley side). Like below. The serial number pictured above is an example and this is the serial number you will need to refer to on your engine to decide what year model the engine is. This will not determine what the HP level of the engine is, because that information is usually stamped on the air intake adapter (90 degree aluminum adapter on intake manifold). See our Tech section once logged-in as a verified customer for an information on decoding your serial number for determining the year of manufacture. We often get asked about engine durability and repair-ability from those looking at a used boat. While this is a hard position to put us in asking this kind of question the information below should help some. The first thing to keep in mind is that the Peninsular Diesel engine was engine based on a GM light duty diesel engine primarily used in vehicles for fuel economy. This engine was designed to be light in weight and fit into places where a SB Chevy or BB Chevy gasoline engine may. The 6.2 and 6.5L engines while very economical (both in price and fuel economy) are still light duty engines. Peninsular took this economical platform and made internal changes to the engine not found in other production versions of this engine that allowed it to be durable in increased power levels beyond the original engine's design limits. This was possible both because of internal modifications and external modifications for strength and that it was being run in marine with a great improvement in cooling capacity (automotive is greatly limited in this situation). Average life span of one of these engines is 2500 Hrs, many greatly more with care. Which is double the life of the gas engines they replace. Many of the later edition versions of these engines 2001 and later were the most durable containing the updated blocks, and the latest versions in the last 7 or so years of production containing forged crankshafts. Parts availability is good through Unique Diesel - Marine care should be taken to acquire components listed here vs potentially compatible elsewhere as durable parts are not easily attainable in the aftermarket for this specific engine platform. Many vessels are equipped with the Engine Components Manual which is a 60-page manual that outlines and diagrams all the parts that can be ordered for an engine. To ensure you have the most current offering of part numbers we would recommend the purchase of the current manuals, which include the Engine Components Manual, Installation Manual, and Operators Manual. The other two manuals are small but contain helpful information. The older Engine Components Manuals from the 80's and 90's contain some obsolete part numbers (numbers that you won't find on the store, but actual parts that you will). What if I have a part number that I cannot find in the store? Search the store by part number, then search by a normal name for the item, also look through the categories. If it's not available, contact us and provide the part number, some times it's an obsolete number that we can point you to the right part. Other times it's because the part is not yet available on the store and we can make it available. Not all components in the manual are currently listed on the store. Many fasteners, clamps, and small accessories are not yet listed. Requests for these components makes them worth being listed, and we are happy to do so if needed. In conclusion, we have the parts, even if not listed on the store and can provide them. Engine Marinization Kits for 6.2L - 6.5L Diesels? We do not sell a kit of parts to turn a regular 6.2 or 6.5 engine into a marine engine. There are a tremendous amount of components that are part of the marine engine assembly beyond the base longblock. Pricing the parts individually is also not an option. Using some used truck engine or non-marine longblock (yes, our base engine is very different) will certainly yield in an unreliable engine that will fail with short hours. We do not want our name (Or Peninsular's) name on some random custom crafted or economy build. Eventually the vessel that the engine combination is in will sell to someone else, who will then likely have a lot of problems and will assume it's our engine (a Peninsular), which is not good for the product reputation. Another point, we are not capable of educating how to assemble these parts onto an engine. It's not an easy task and there are variations, for which someone attempting this would certainly have a lot of questions on how to do it. We are not interested and unwilling to guide this process. Just because we can do this ourselves does not mean we can teach others. Parts included on this website are for the repair of existing Peninsular engines only. If new engine assemblies are unavailable, we recommend seeking out a used engine or pair real Peninsular engines, at that point we could assist with parts for genuine serialized engines. Finding mechanics that are familiar and work on these engines is not very common. Consider this in your evaluation of this engine. The engine is only as good as it's support. Current Diesel mechanics are only familiar with engines produced in the last 10 to 20 years maximum, this is due to the wear and tear these professionals face in working in boats. The same can be said for gasoline engines produced during the time this engine was at it's peak production. Bottom line, the support for parts from Unique Diesel - Marine is very good, extremely good when compared to other platforms this old. Many components are available, many that are backwards compatible with former generations of engines. The 6.2 marine and 6.5L marine engines are interchangeable in that a 6.2L marine engine can be replaced with a 6.5L marine engine with minimal changes. The same can be said for earlier 6.5L marine engines to current production 6.5L marine engine components. There are some answers to frequently asked questions and some technical information present once you are logged into the store (does not show up when not logged in) under our TECH tab in the menu bar. Tech section contains information on decoding your engine serial number for manufacture date, among other details that will be updated as the needs arise. Being that all the engines in service were sold by Peninsular we (as a completely different business) cannot provide free technical support and answer trouble shooting questions for owners. We do provide product support for items we have sold. We do answer questions on a specific part's application if not clear on the store. We also provide technical information on how to install parts that you have purchased from Unique Diesel, but not prior to purchase. Unique Diesel offers a maintenance program for registered customers whereby annual purchase of standard maintenance items that should be serviced annually can be purchased. This annual maintenance kit includes an Air Filter, Oil Filter, Waterpump Impeller, and Zinc. With this service kit you can ask troubleshooting questions concerning your engine. Note: Detailed or very complex troubleshooting may still require some kind of paid troubleshooting (depending on parts purchase). Unique Diesel does offer paid technical, consulting, and troubleshooting services.